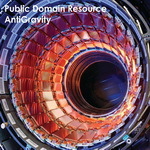 The long, expected return of the Public Domain Resource is finally today a reality. The Italian duo surpasses itself with this new album, conceived with technical rigor and with an extraordinary inventiveness, which demonstrates once again how remarkable are the compositional skills of these two artists. “AntiGravity” is sonic rationalization combined with melodicity, an intriguing, particular whole of synthpop / electropop modulations, explicitly dedicated to a mature audience of electro listeners who has taken a step forward in their evolutionary path. Transversal harmonies, synthetic rhythms, robotic vocalizations, linear sequencing flows, futuristic danceability and experimental refinement, constitute the peculiarities that make this release one of the most important documents available on the recent global electronic scene. You will be transported into an antigravitational vortex full of alienating technologism, characterized by hypnotic scans of drum-programming, ultra-modern frequencies and something else of indefinably stupendous. “AntiGravity” is music for androids, the ideal, charming point of convergence between an advanced form of human intelligence and the rationality of machines, all in thirteen tracks of rare, algid beauty. Pure electronic pleasure will flood you! Share the post "Official Press Release // Public Domain Resource"